After a sold out festival last year, Melbourne’s Coachella for dogs is back for 2018. Sunday 11th November 2018, Oscar’s Law & One Little Indian Enterprises present Dogapolooza! 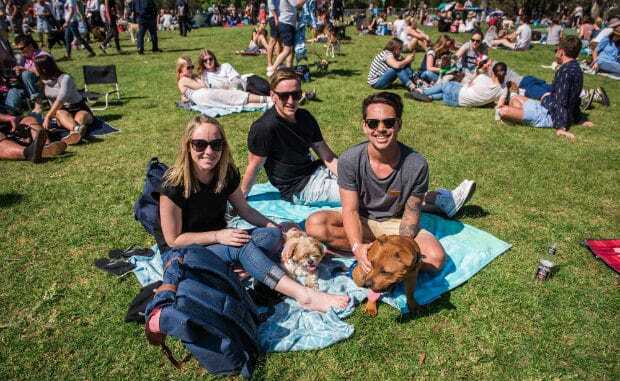 Lay about with every friendly doggo in Melbourne whilst sampling Melbourne’s finest artists, food trucks Hamsa Hummus Vegan Shawarma, Jerry’s Vegi Burgers, Bondi’s Funky Pies, Babajis Indian, Waffle & Shake Icecream and beer purveyors Moon Dog Brewery. Early Dog Tickets (our cheapest tickets) on sale August 27 or until SOLD OUT. Note: Tickets are for humans. Dog’s are free, because dogs are our totem animal and dogs don’t have credit cards.